Hatch a pet without the responsibilities of taking care of it later. Simply place the egg in a container filled with water and then wait. 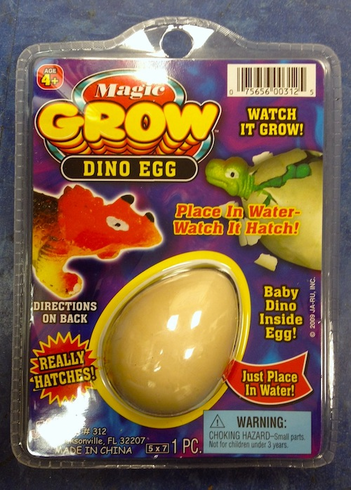 In 1-2 days you'll see the cute baby dino peep it's head through as the egg cracks open. It takes only 2-3 days until the dino is fully grown!